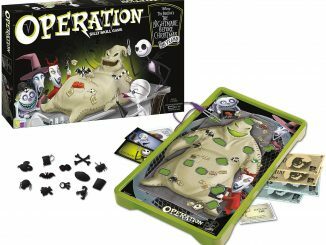 Fans of Tim Burton’s The Nightmare Before Christmas will instantly recognized this creepy fellow. 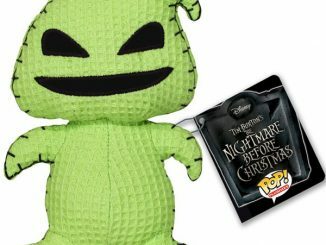 The Oogie Boogie Wacky Wobbler is Funko’s take on the scary burlap sack that has it in for Jack Skellington and Halloween Town. 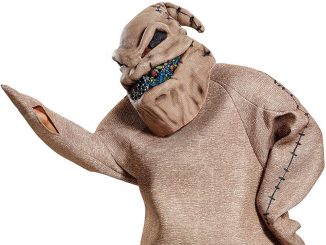 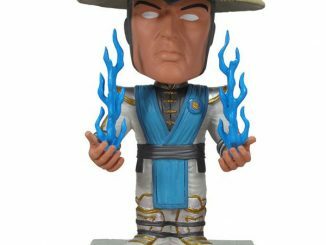 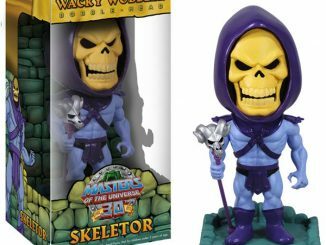 Haven’t you ever wanted the main villain and altogether Boogeyman, Oogie Boogie, from The Nightmare Before Christmas sitting on your desk and bobbling his head up and down, around and about? 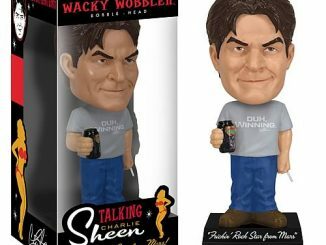 Think of how awesome this would make your surrounding environment look and feel. 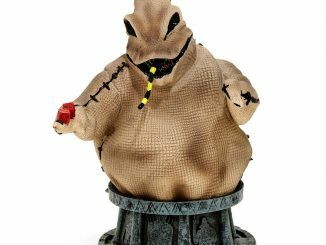 This Nightmare Before Christmas Oogie Boogie Bobble Head has been rendered here in excellent form as a 7″ tall Wacky Wobbler. 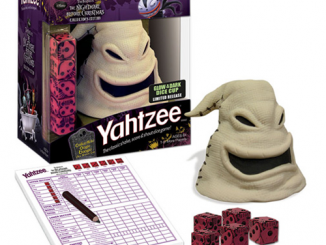 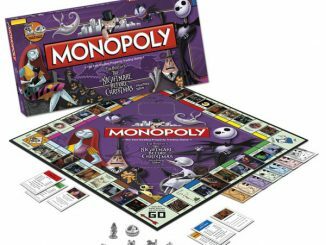 Oogie Boogie looks great, with his rotting green potato sack of a body, snake coming out of his mouth, pair of dice, and frightening disposition – just like he did in the film. 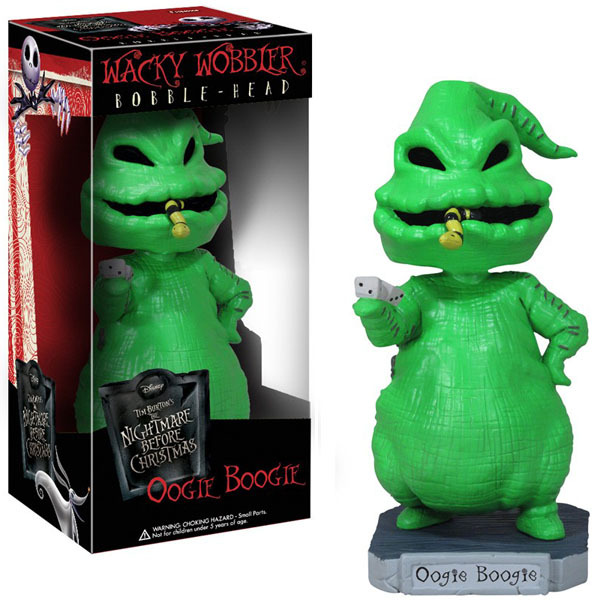 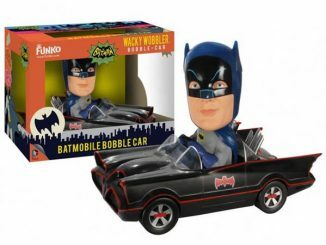 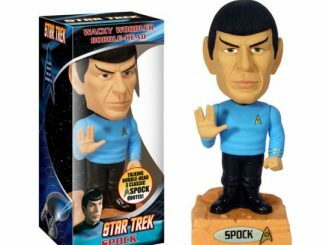 You can purchase the Oogie Boogie Wacky Wobbler Amazon.com for under $14.